MATCH Pewter is handmade by artisans in the north of Italy. Each piece is made with an alloy that is lead-free and safe for everyday use. 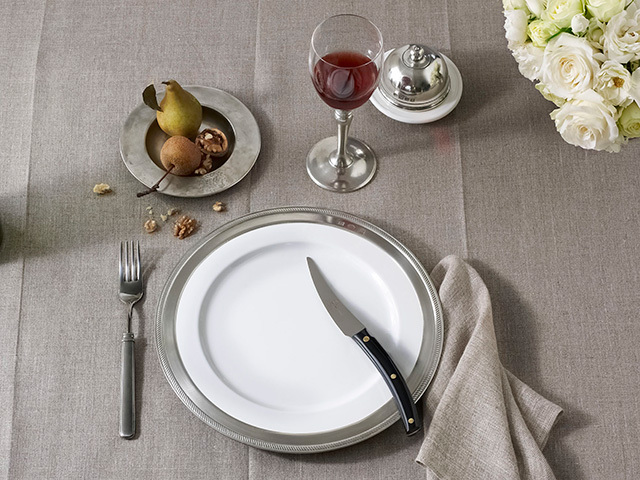 MATCH flatware, stemware, accessories, and tableware harmonize with both traditional and modern settings. Its warm reflections recall celebrations at well-laid tables and storytelling by candlelight. Elegant, functional, and timeless. Each MATCH piece is an heirloom treasure that will be cherished for years.